Our mission at Birmingham Yoga is to support, nurture, and strengthen the Birmingham, Alabama yoga community through yoga teacher training opportunities, multi-level workshops, studio classes, networking with the surrounding community, and serving as a source of information for our students. The birth and growth of Birmingham Yoga has been an organic process. After studying throughout his teens and twenties with Yogi Bhajan (Kundalini Yoga Master) and Pattabhi Joi’s nephew, Vishwanath, Akasha Ellis settled in Birmingham and began sharing his knowledge. In 2000, he began teaching Ashtanga and Kundalini yoga classes to students in the Birmingham area. Five years later, Terri Sellers and LeAnn NeQuette embarked on a vision to see the Birmingham yoga community grow. They created Magic City Yoga, a “studio without walls”, to host workshops and support the growing community of yoga teachers in the city. As interest in yoga continued to blossom, Magic City Yoga joined forces with Akasha Ellis to create the Yoga Alliance 200 hour teacher training program. In 2009, the “studio without walls” transformed into Birmingham Yoga as it found a cozy sanctuary studio in downtown Birmingham. 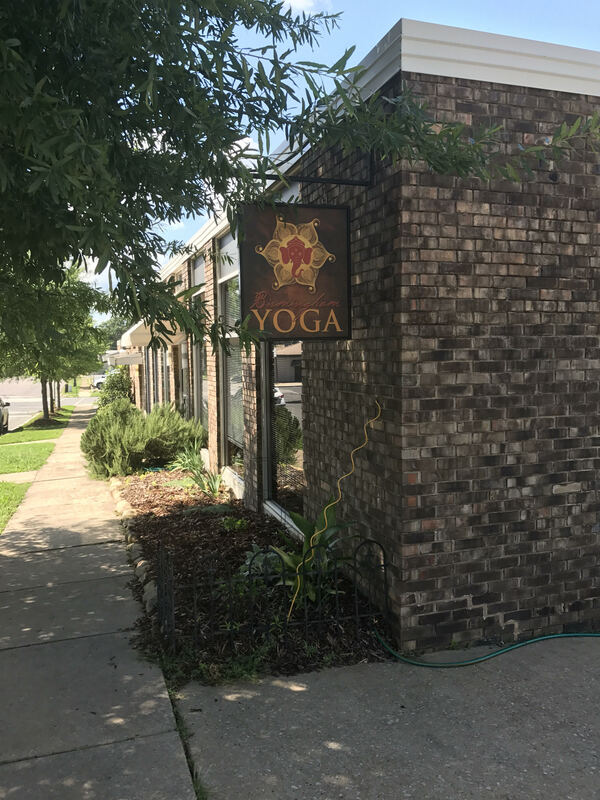 However, in just two years, Birmingham Yoga outgrew the space. Akasha began looking for a larger space as well as partners to help nurture this growth at Birmingham Yoga. Kerry Meon, Ingrid Propst, and Akasha partnered together and found and found a wonderful space in Forest Park. Our new space is large enough to support our growing yoga community. The studio is centrally located with two yoga rooms, kitchen, and ample parking. The space is also home to three talented massage therapists and a reiki practitioner. We are located at 603 37th Street South, Birmingham, AL 35222. We truly feel grateful and blessed to serve and offer yoga to our community and our growing family of talented teachers in Birmingham. We look forward to sharing our love of yoga with you.